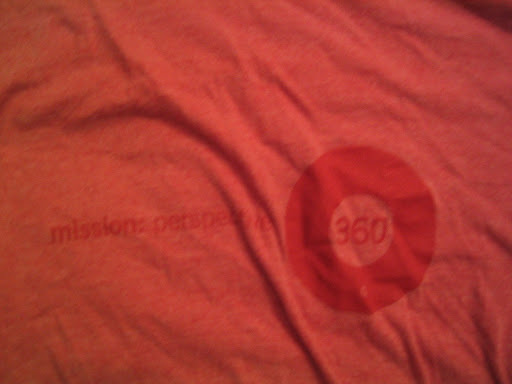 “360” was the theme to Sales Conference 2006. I spent more time giving Google Video demos than listening to speakers. The shirt is pretty soft. And red.